There are some very special places in the world, many of which need to be seen to be believed. Far from the everyday life most of us experience, there are some awesome sights, humbling encounters and fascinating experiences to be had. If you’re planning your retirement, read on for some inspiration. I recently told someone about my mother’s 70th birthday trip to meet my brother and me in Vietnam, and was told how inspirational it was that Mum wanted to go ‘somewhere exciting’ to celebrate her birthday. My response? “Why not?" I love the idea of my family inspiring others, so, having helped Mum plan that trip, have thought of a few more. Here are my suggestions on the most awesome sights to see when you retire. For nature at its spectacular best, head to the Arctic to witness Aurora Borealis (the Northern Lights). This colourful display of gases entering the atmosphere is most easily seen against a night sky. 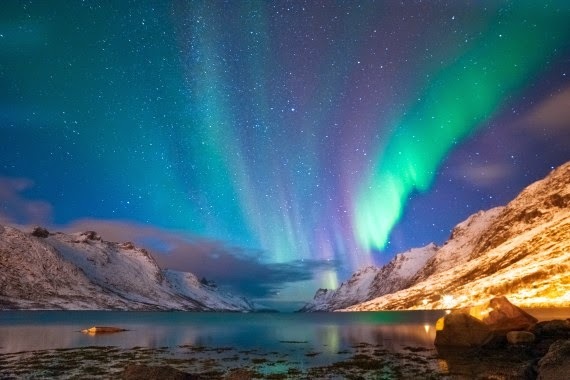 The best places to see the Northern Lights are Iceland, Norway and Finland. Inbetween sessions watching nature's greatest lightshow, it is also possible to go dog-sledding or snowmobiling, or simply take in the spectacular snowy scenery. Saga Holidays can arrange the trip for you. It will be cold, but it will be worth it. Australia has many awesome sights, but one of the things Australia can still provide that many other countries can’t is wide open, and empty, space. While that might not sound very exciting, there is something thrilling about exploring the great outdoors on your own. If you’re keen to get away from it all, and take in some stunning scenery, head to the beaches on the south coast of Western Australia. Lucky Bay, in Cape Le Grand National Park, is the region’s gem, with pristine white sand leading to spectacular crystal clear turquoise water, and it is not unusual to meet a few friendly kangaroos on the beach. With so many beautiful beaches to choose from along this stretch of coast, the biggest challenge is picking a favourite. If you’ve always seen yourself as a bit of a rebel, then you have to visit Havana. Visiting Cuba’s cigar-smoking, mojito-drinking and salsa dancing capital is like stepping back in time. From the beautiful rundown buildings along the majestic Malecon to the vintage cars that cruise the streets, fascinating sights are everywhere you look and the atmosphere is electric. Istanbul’s most famous mosque, the Blue Mosque, is so-called because of the blue in the Iznik tiles used to decorate the inside. Standing proudly in the centre of the Sultanahmet district of the city, the enormous mosque still attracts worshippers, but it is also possible to visit as a tourist, and take in the spectacular architecture and design details of the incredible structure. If you’re looking for an exotic and exciting destination, with a slice of relaxation on the side, Zanzibar is what you’re looking for. The ‘Spice Island’ as it is also known has a fascinating history as a slave and spice trading centre, and the many influences from Persia, Arabia and Europe can still be seen today in the ornately decorated doors, unique architecture, and spicy cuisine. 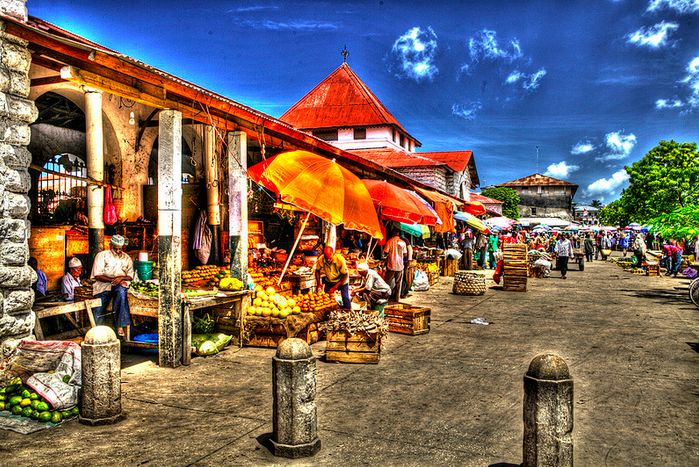 Don’t miss the market in Stonetown, a great spot to pick up local wooden carvings or to bulk buy spices, and the picture perfect beaches of the east coast, with a traditional dhow (boat) on the horizon, if you're lucky. This post was written in collaboration with Saga Travel.